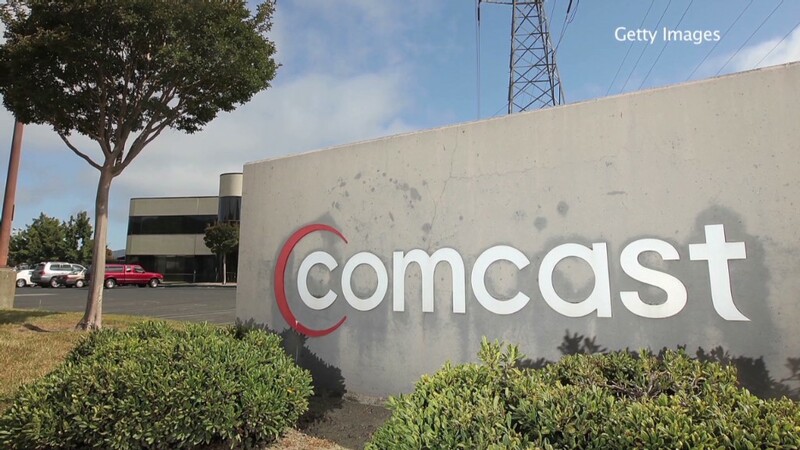 Comcast and Charter Communications have reached a deal in which Comcast and Time Warner Cable will shed 3.9 million of their current customers in an attempt to ease concerns over their proposed merger. The sale on Monday, to Charter Communications, would leave the combined Comcast and Time Warner Cable with just less than 30% of households that subscribe to cable or satellite TV. Still, if the merger is approved, Comcast would have roughly 29 million subscribers -- well ahead of either the 20 million customers of DirecTV or 14 million Dish customers. Following Monday's deal, Charter would rank No. 4 in pay-TV subscribers, and be the No. 2 cable company. Regulators and consumer advocates are concerned over the reduced choice of cable providers posed by the proposed merger. The divestiture of customers announced Monday will only take place if the deal is approved by regulators. In Monday's deal, Charter (CHTR) is buying 1.4 million Time Warner Cable (TWC) customers directly for $7.3 billion in cash. In addition, 2.5 million current Comcast (CMCSA) customers will be spun off into a new cable company that will be controlled by Charter. Finally, Charter will swap 1.6 million of its customers to Comcast in return for 1.6 million current Time Warner Cable subscribers. The rationale for the swap is that it would cluster Charter and Comcast subscribers geographically following a merger. Comcast spokeswoman D'Arcy Rudnay said that between the cash and stock in the deal, Charter is paying about $20 billion to acquire access to the 3.9 million subscribers. At least one consumer advocacy group critical of the merger said that Monday's agreement does nothing to reduce its concern. "Transforming three giant companies into two behemoths gives no comfort to content providers or consumers," said Matt Wood, policy director of Free Press. "Lawmakers and antitrust authorities shouldn't be fooled either." Charter had been seeking its own purchase of Time Warner Cable, but Time Warner Cable rejected its $37 billion offer as a "grossly inadequate price." A month later Comcast stepped in with its own $45 billion deal for Time Warner Cable.